“As a young child, I would ask my mother such questions: Where does God live? Who created us? And I got responses from my mother explaining that God lives in Heaven and in our Hearts. Since then, I developed a deep love and respect for an awesome creator who deserves nothing short of complete reverence. She went on: “The awesome beauty of God’s handiwork continues to amaze me. When I thank God for His blessings, I always remember to mention these incomparable natural wonders that add so much meaning to every moment of our lives. “In the light of this, I introduce a heartfelt worship song to you titled SOUL CRY which will make you humble yourself before God and give Him your ALL. “I’m grateful for the immense contribution of my beloved brother, Obiora Obiwon on this song. I admire his love for God and deep commitment to spirituality. 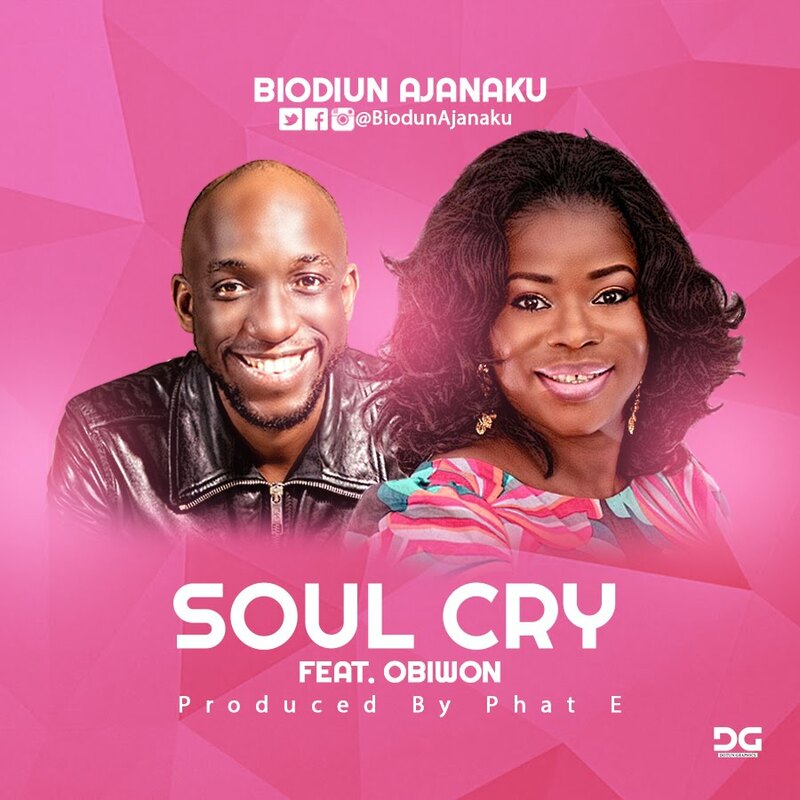 “Ladies and gentlemen, I present to you ‘Soul Cry’ produced by the amazing Phat E.” – Biodun Ajanaku. Biodun Ajanaku is an energetic vocalist and one of the few long standing female gospel jazz singer. She is a composer, songwriter and a performer who has accomplished so much over the years through her widely recognized songs around the world especially crossing cultural and international boundaries. Born on 25th of December, the third of six children, she began singing from her childhood. She is a graduate of the prestigious University of Lagos (Mass Communications) and holds a Master degree in Public Relations and International Affairs. Biodun caught the singing bug from her mother and decided to pursue a career in gospel music. Her song “Tofunmi” which means Jesus is enough for me, is a classic tune with African touch which gained massive airplay on television.